There comes a time when even the most financially sound individuals will need to borrow money. There are often opportunities, milestones, personal and business needs, as well as emergencies that need to be dealt with. Some can be covered with your own money while others may require a bit more than you have in your savings account. Loans are convenient for helping you get over such hurdles giving you time to repay and get back on track. If you’re looking for a loan, however, you’ve probably realized there are a lot of different types out there. How do you know which one is right for you and your circumstances? Better yet, how do you know which ones you can get approved for? 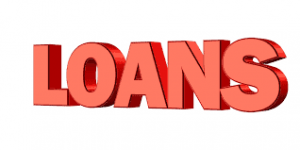 You simply do some research on the various types of loans, their purpose, and eligibility requirements. Likely one of the most popular types of loans is mortgages. These are large loans provided by banks and private lenders for the purchase of a property. To get approved for a mortgage, applicants will need to go through an approval process. You’ll need to have tax records, bank statements, pay stubs, a good credit history, and collateral (which in most cases is the house you’re looking to buy). If you’re in need of a car but can’t buy it outright you can apply for a car loan. These are large loans which are supplied by banks and private lenders. To be approved applicants will again need to submit paperwork. A little less tedious than applying for a mortgage, you’d need pay stubs, bank statements, and a reasonable credit history. Dealing with a financial emergency? Did your car break down or does something in the home need to be repaired? Whatever the case may be, you can use cash advance loans to handle short-term emergencies. They are easy to apply for online. You must be 18, have a valid checking account, and have verifiable income. Whether you need cash to pay down some debt, plan a wedding, go on vacation, or to invest in a new business, personal loans are a common go to. They can be used for anything and range in size from a few thousand to several hundred thousand dollars. You’ll need bank statements, pay stubs, tax records, good credit, and collateral. Want to invest in a property but haven’t secured the funds just yet? Bridging loans can help make this easier. They are loans designed to bridge the gap between loans providing financial relief. If you’re investing in a property but are waiting on a mortgage or some other means of financing, a bridging loan can be used in the meantime. You need excellent credit, a low debt to income ratio, and at least 20 percent equity in a home. Depending on where you decide to go to college you may need a little help financing it. Student loans are offered by the federal government, banks, and private lenders for you to take advantage of. Most student loans require you to have good credit and some may require you to have bank statements, pay stubs, and tax returns. Running a business costs a lot of money. Even if you are turning a good profit, there could still be things you don’t have enough money in the budget to cover. Business loans can help tide you over until you boost your cash flow. You’ll need to have a good personal and business credit score, collateral, financial documents (personal and business), and many lenders require that you have been in business for at least a few years. Now that you have a better idea of the types of loans that are out there, do you know which one is best for you? Remember, knowing the type of loan, what their purpose is, and what the approval requirements are can help you narrow down your options. Lastly, be sure to select a reputable lender with various options to make borrowing affordable and easy.